Save your fields and your games from the damaging effects of rain with the FieldSaver line of protective covers from CoverSports. Our high-strength, long-lasting, reinforced 6 oz. 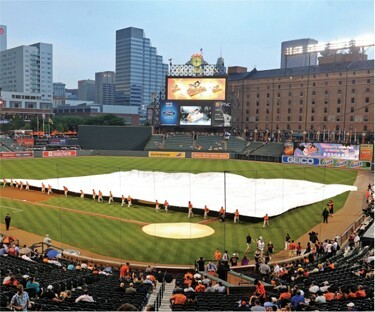 polyethylene fabric keeps your field dry. Save your fields and your games from the damaging effects of rain with the FieldSaver line of protective covers from CoverSports. Our high-strength, long-lasting, reinforced 6 oz. 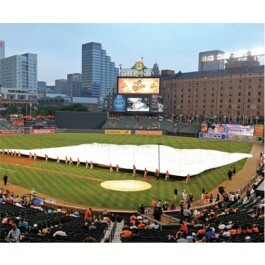 polyethylene fabric keeps your field dry. All FieldSaver covers are waterproof and rot-resistant.